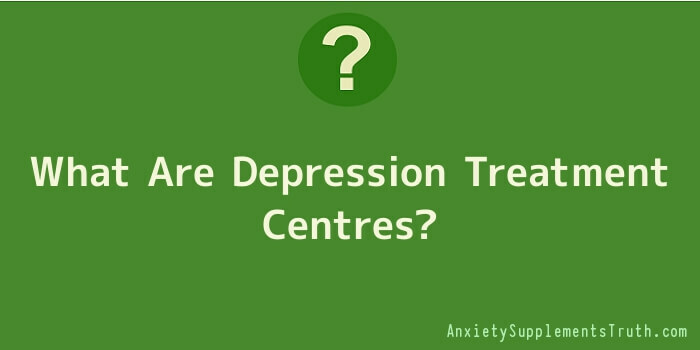 What Are Depression Treatment Centres? There are different kinds of depression affecting a significant number of people. While many depression sufferers have manageable symptoms and reactions as a result of depression, others have more chronic forms of depression, requiring advance management procedures. Some depression patients are confined to a hospital setting for the duration of their treatment. Others are treated as out-patients through medication and various therapies. Various facilities exist to treat depression and some of its associated symptoms. Such facilities include depression centres, which can provide customized treatment for depression. Each individual is usually provided with tools and resources to help them cope with depression and since the facility is purely dedicated to depression-related activities, there is more focused care and attention for depression patients. Depression centres are also good places for effectively conducting depression research. Research in depression enables better understanding of the ailment and its treatment. New drugs can be developed and clinical trials can be conducted using data samples from depression centres. The availability of potential test subjects and the availability of healthcare research funds can greatly advance the knowledgebase in this area. In addition to research capabilities, depression centres can serve as an educational resource, offering workshops and seminars to family or friends of depression sufferers. This provides an opportunity to learn more about the problem and related disorders. Depression patients are also able to improve their understanding of symptoms and the ailment they have. Management of depression involves knowing about possible triggers, negative thoughts, strategies for constructive thinking, coping mechanisms, life-saving alerts regarding depression and other essential information to manage the condition. Teaching or instruction methods at depression centres can include face-to-face communication, videos, computers and multi-media tools. Depression centres can also initiate community education programs to alleviate the stigma or negative attitudes associated with depression. These programs can include lending libraries that focus only on depression-related topics, the distribution of free brochures or pamphlets to the community, computer availability for use with depression research activities, access to reliable depression and health information for all interested in learning more about depression. Although not all depression centres have this multi-service capability, many depression centres have enough resources to serve as an adequate support and treatment centre for those who have symptoms or episodes of depression.